Ask The Mayor: Why is the Speed Limit on Hāna Highway so Slow? 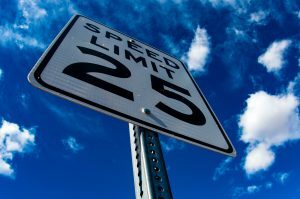 Q: Why are the speed limits on Hāna Highway past Pāʻia mostly 30 or 35 miles per hour? The speed limit for a highway shouldn’t be the same as Kaʻahumanu Avenue. That seems to be a ridiculously slow speed for a highway. Have you ever followed a line of tourist cars from Huelo into town going 35 miles per hour on a daily basis? It is pretty annoying. Please raise the speed limits on Hāna Highway. Mahalo. A: My staff reached out to the state Department of Transportation and after speaking with officials they believe that the speed limit for Hāna Hwy from Pāʻia is appropriately posted considering residential areas with direct access driveways, narrow shoulder widths and school zones. The state department plans to reevaluate Kaʻahumanu Avenue and possibly make adjustments to lower the speed limit considering it is urbanized with sidewalks, bike lanes, curb/gutter, multiple traffic signals, etc. Mahalo for your time and I’d like to remind all of us to please always drive with aloha.